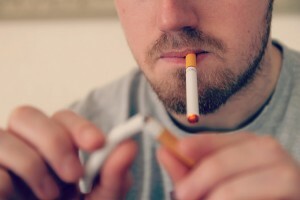 A Tool to Help Quit Smoking? A new report released today by the Royal College of Physicians states that smokers should be encouraged to use e-cigarettes as a tool to help them quit smoking. In an interview broadcast on the BBC this morning, Nick Hopkinson from the organisation’s tobacco advisory group stated that “if everybody who was smoking switched across to e cigarettes that would be a huge, huge health benefit”. This 200-page report looks at the science, regulation and ethics surrounding e-cigarettes and addresses the controversies and misunderstandings, with conclusions based on the latest evidence. Previous coverage in the media has voiced concerns that e cigarettes could be a ‘gateway to smoking’ and that they could contribute to ‘normalising’ it, however the new report acknowledges that there is no evidence to support this. Although the report admits that it is not possible to precisely quantify the long-term health risks of using e cigarettes, it supports the current statement from Public Health England that suggests there are unlikely to be any more than 5% of the risks associated with smoking tobacco. Professor John Britton states that “Electronic cigarettes have the potential to make a major contribution towards preventing the premature death, disease and social inequalities in health that smoking currently causes in the UK. The report goes on to state that “With careful management and proportionate regulation, harm reduction provides an opportunity to improve the lives of millions of people. It is an opportunity that, with care, we should take”. If you would like to improve your health by ditching the tobacco, tar, and thousands of other chemicals in cigarette smoke, OK E Cig can help get you started on your journey to becoming smoke-free. Click here to browse our range of high quality ecigarette starter kits.